This semester has brought many new developments to Tyler Junior College, such as new programs and new clubs. However, the semester has also reintroduced old clubs in a new light. On Feb. 22, the International Game Developers Association held a gaming tournament in the Wagstaff Gym conference room. The game for this month was the new fighting game, “Jump Force,” that was released Feb. 15. This tournament is a part of a new series of tournament events that the IGDA has started this spring. There will be a tournament on the last Friday of every month. The IGDA President, Kaitlyn Vest, expressed excitement about the tournaments. “The tournament promotes a vibrant student life because there is not a lot of gaming stuff on campus we have noticed. So, we are trying to hit that little niche and bring the gamers in and say ‘Hey, we are here, come meet other gamers and hang out and have a friendly competition.’ [Also]we would like to expand into the community service aspect by trying to do livestreams of it for charity where we’ll stream it from campus. We must get approval on that, so it is in the works. If it is approved, while we are playing, people can come in watch us and donate to the charity we have set for that month,” Vest explained. The club is also working to break the common stereotype about gamers. According to an article on Whatculture.com, gaming is offered views as pointless, male-dominated, immature and violent, while gamers are viewed as introverted and lazy. IGDA are hoping that the tournaments can help show other people that gamers are just like everyone else. 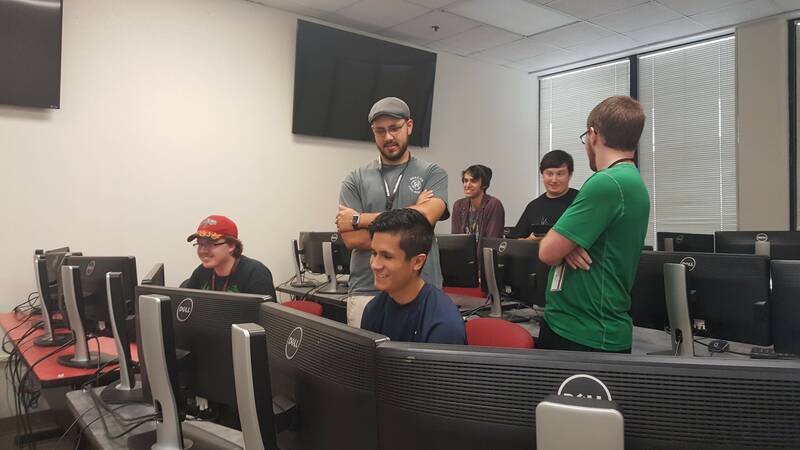 “It is for fun, but we are also trying to reach out and say ‘Hey, we’re gamers, we are not just the stereotypical lazy, angry Cheeto-eaters.’ We want to reach out to the community and have fun. It doesn’t matter if you are really good at games or you never played this game before. We have a practice area set up, and it’s free. You can at least play for fun, and you might win something,” Vest said. IGDA has had events like this one before but under a different format. The last tournament they had included a $5 entrance fee and lesser known prizes. However, this semester the club wanted to to find a way to make the event more accessible to the public. This caused the club to look for a way to better fund their event. “We kind of brainstormed at a couple of meetings with officers and general members. We [asked] what kind of games would they to see and what kind of prizes [they would] like to see … Eventually, we all voted and pushed it through the SSFAC board, and overall they were impressed. They liked the idea of bringing students together in a very friendly competitive kind of way,” said Vest. If you’re into gaming or anime, or you just want to de-stress before a big test, then the IGDA gaming tournaments are for you. IGDA has meetings on the first and third Monday of each month in Pirtle T-238,if you are interested in joining the club.